My Top 15 Colorful Cute Sandals for Summer! 15 Fabulous Fun, Colorful and Cute Summer Sandals for Women! I just found the cutest sandals for summer time and I had to show them to you! They are fun, happy, unique and very colorful, of course! After all summer is all about colors! You will see lots of bright and bold colors here! Girly women love to wear fun and colorful stuff, but always of high-quality! All cute sandals for summer from this page are of the best quality and materials, and they will last for a long time! You will see lots of floral sandals and pink sandals, of course, just like these pretty pink and very girly sandals you see in this picture! I am also about comfort! Summer sandals should be cute, but always comfortable on your feet! I hope you enjoy these cute sandals and have lots of fun this summer! These selections were based on my girly taste, since I am a girly woman. Cute and Colorful Floral Wedge Sandals! Girly women love to wear floral shoes! 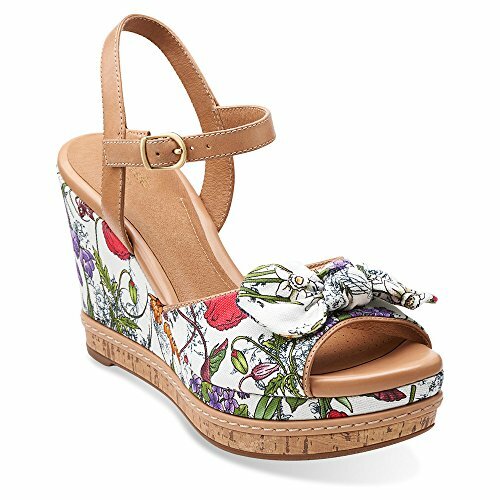 This cute pair of floral platform wedge sandals is perfect for the summer! They are made of soft fabric and are super girly! 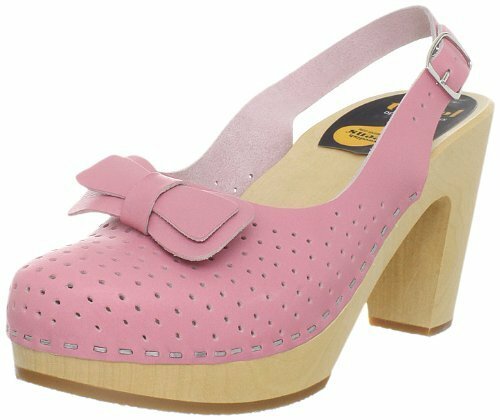 What I love about these girly platform shoes is that they are stylish enough to wear anywhere! 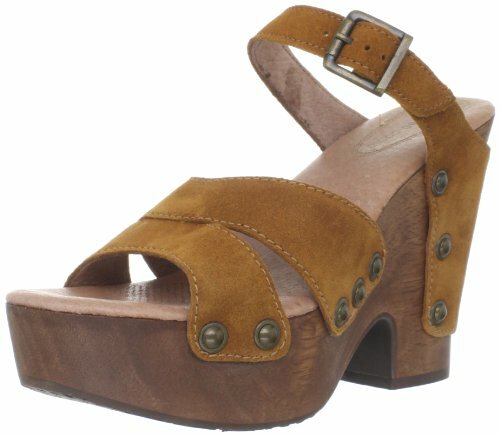 What a gorgeous pair of cute camel color platform suede sandals! I love suede because it’s soft, stylish and always comfortable! The heels (about 4.5″ high) are just about the right size for a casual but still elegant wear! They are chic, sassy and spell fun! Great gift idea to any girly woman in your family! I see the colors of the rainbow! What a fun and colorful pair of cute rainbow platform sandals for the summer! Can you imagine how cute they must look on the feet? Perfect for short girly ladies too! They are available in sizes 4 to 8. Happy White Floral Summer Sandals! Look at these fun, colorful and very ‘happy’ white floral sandals for summer! Can they get any more tropical than that? They are very soft and comfortable to walk! The heels are not too high which is perfect if you have to walk somewhere while wearing them..
Needless to say they will make a wonderful girly gift! Cute and Comfy Pink Leather Sandals! Another lovely pair of cute sandals to wear next summer! It’s a girly pair of pink leather sandals! The material is leather and you can choose them in 16 different colors! 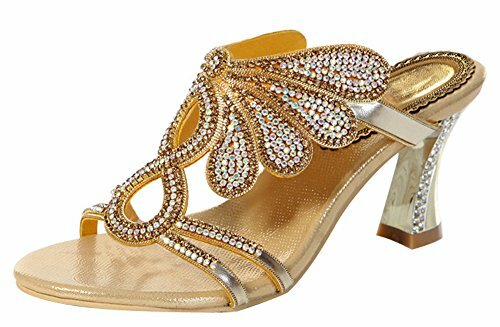 Beautiful Gold Butterfly Dress Sandals to Wear at Night for Summer! I love gold and sparkly sandals! Add them together and you have a cute pair of sparkly butterfly gold sandals to wear! Aren’t they absolutely perfect to wear during spring and summer time when you go out at night? These cute pair of sandals for girly women are made of sheepskin and the huge butterfly if made using sparkly rhinestones! 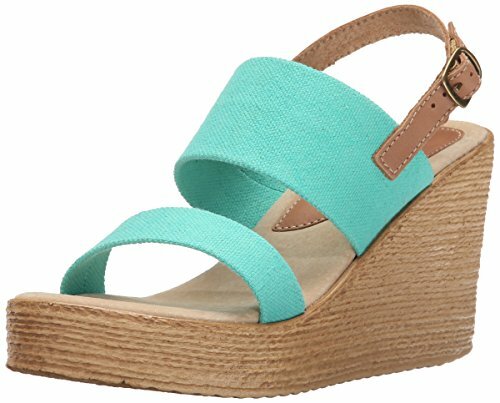 Cute and Girly Kate Spade New York Turquoise Wedge Sandals! 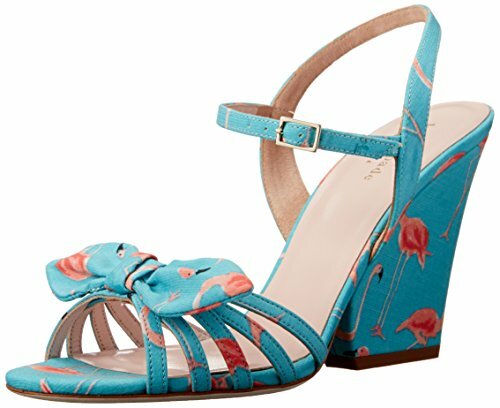 How cute and girly are these Kate Spade turquoise sandals with cute pink flamingo prints on it? Look at the lovely bow on top! And the cute pink flamingo designs all over the wedges! I don’t know about you, but I love green! Green is an awesome color to wear during summer! This is a gorgeous and super affordable pair of green wedge sandals! They also have rubber soles and the heels are just the right height!… Not too high, not too low… Just perfect! Great summer shoe gift idea for the girly girl in your family! 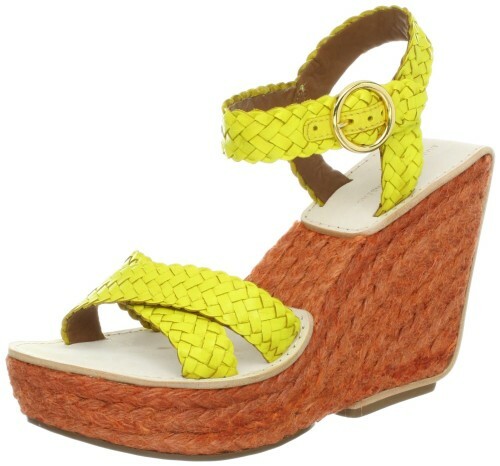 How ‘summery’ are these bright yellow and white ankle-strap sandals? They are absolutely perfect for summer time, don’t you think? Very beautiful and also elegant enough for going out at night! Another gorgeous pair of yellow summer sandals! Very feminine and very cute! Amazing Turquoise Wedge Sandals to Wear for Summer! Turquoise is one of the BEST and the most FUN colors to wear this summer! It stands out and it is perfect to make your beautiful tan show as well! Look at this super cute pair of turquoise wedge summer sandals! They are perfect to wear with a nice white outfit or jeans! Happy buyers said these are very stylish! Made from leather and fabric! Nine West Women’s BLUE Platform Sandals! Best Women’s Sandals for Summer! Guess what other color is perfect to wear for summer time? It’s a happy and very cool color! It makes us think about the ocean! Look at this gorgeous pair of very comfortable and super cool blue platform sandals for sale! Just perfect to wear anytime, day or night! Swedish Hasbeens Cute and Stylish Red Sandals! If you are looking for a super cute, girly and stylish fashion summer sandals that you can wear either during the day or to go out at night, look no further! This gorgeous pair of Swedish Hasbeens red platform sandals is just perfect! They are fun, fashion and elegant! Red is also a great color to wear for summer! These are made from leather and they are available from sizes 6 to 11. Very Colorful Flower Sandals for Women! 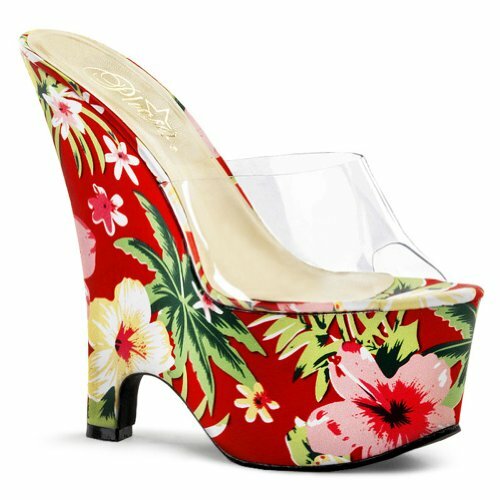 And I will end my selections of cute summer sandals for women with these gorgeous flower wedge sandals! Love the Hawaiian print hibiscus floral pattern! I love the RED background too! Great summer gift idea for women! *Cute Spring Sandals for Women!